FUD Post UTME Latest Update: The online Registration and Payment for the 2018 PUTME exercise scheduled to end on Sunday, 5th August, 2018 has been extended to Sunday 12th August, 2018. Please note that the date for the UTME Aptitude Test and DE Screening remains unchanged. Applications are invited from suitably qualified candidates to the Federal University Dutse (FUD) Post UTME/Direct Entry screening exercise for the 2018/2019 academic session. Eligible UTME and DE candidates should Register and make Payment Online and attend the Post UTME Aptitude Test/Screening at Federal University Dutse Campus based on the timetable for the respective programmes. Online Registration and Payment: The online Registration/Payment portal would be opened on Monday, 30th July, 2018 and close on Sunday, 12th August, 2018 at 12 midnight. Post UTME Aptitude Test: The Post UTME Aptitude Test for UTME candidates will commence on Monday, 13th August, 2018and end on Saturday, 18th August, 2018 at the University Campus. NOTE that Date and Time to report for the Aptitude Test will be indicated on the Examination slip of each candidate upon successful completion of the online Registration/Payment. Direct Entry (DE) Screening: Direct Entry (DE) candidates are exempted from the aptitude lest but would come for Screening from Wednesday , 8th to Saturday, 11th August, 2018. They should report to the respective Faculties/Departments of their chosen courses in the University Campus on a date convenient to them within the scheduled four (4) days of the exercise (8th– 11th August, 2018). FUD Post UTME and Direct Entry Screening Eligibility. Only candidates who have met the following requirements are eligible to participate in the exercise. Candidates must have chosen Federal University Dutse as First Choice and scored a minimum of 160 points and above in the 2018 UTME or applied for Direct Entry (DE). RECOMMENDED: FUD Cut Off Mark For 2018/2019 Admission Exercise. Must have registered in Federal University Dutse Post UTME Portal. Must have obtained minimum of live (5) relevant credit passes including English Language and Mathematics in SSCE (or its equivalent) in not more than two sittings for both UTME and Direct Entry (DE) candidates. Must have possessed 2018 UTME result slip. How to Apply for Federal University Dutse Post UTME Screening. 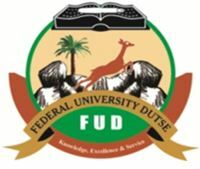 Candidates are to log into the Federal University Dutse PUTME Portal-http://putme.fud.edu.ng or through the link on the University website to register online for the post UTME exercise. Candidates should login using their JAMB/DE Registration Number. Candidates should update their Date of Birth, Email, Phone Number, State/ G.A. Use the RRR Number to pay N 2,000 Post UTME charges, using any acceptable debit card, or pay at any Commercial Bank nationwide, including FUD Microfinance Bank. Candidates should select appropriate Subject Combinations which must be relevant to their Course of choice to write the aptitude test. Scan and Upload genuine and authentic copy of WAEC/NECO/NABTEB/A’Level results and recent passport photograph. Candidates should bear in mind that uploading or providing any false or misleading credentials or information will result to outright disqualification. Candidates that paid the mandatory fee directly through the Commercial Banks might have to wait for maximum of 24 hours for clarifications before proceding to the next step of the Online Screening. Candidates are strongly advised to avoid paying money or any form of gratification whatsoever to individuals or group for the purpose of the Screening or securing admissions. Candidates are strongly advised not to come with their bags to the exam venue. UTME Candidates should come to the Aptitude Test Venue with Evidence of Payment (Remita Receipt), and Examination Slip. Direct Entry (DE) candidates should report to the Screening Venues at the Faculties/Departments with Evidence of Payment (Remita Receipt), Acknowledgement Slip and original copies of academic credentials. Any UTME and DE Candidate who fails to appear for the Aptitude Test/Screening exercise on the dates indicated above will not be considered for admission into the University during the 2018/2019 session.